Winter holidays are a time for families and friends to get together. But that also means a greater risk for fire. 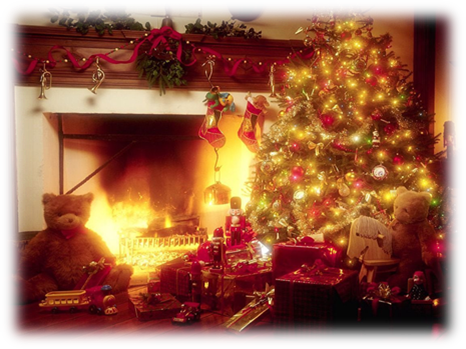 Following a few simple tips will ensure that happy and fire safe holiday season. Stay in the kitchen when cooking something on the stovetop. Unattended cooking equipment is one of the leading causes of home cooking fires. Provide large, deep ashtrays if you allow guest to smoke in your home. After a party always check ashtrays and inside trash cans for cigarette butts that may be smoldering. Never use lighted candles near trees, curtains, drapes or near any potentially flammable items. Battery-operated candles are more safe to use. Choose decorations that are flame retardant or flame resistant. When choosing lights, make sure to read whether they are for indoor or outdoor use. When connecting string of lights never connect more than three stings of incandescent lights. Also, read all manufacturer’s instructions for number of LED strands that can be connected together. More than three lights may not only blow out a fuse, but can also cause a fire. When displaying a fresh tree, keep the stand filled with water so the tree does not dry out quickly. Dry trees can be a serious fire hazard. Protect cords from damage. Cords should never be pinched by furniture, forced into doors or windows, placed under rugs or placed near heat sources; nonetheless, attached by nails or staples. Every household should be prepared for a safe winter holiday season. To assist you in protecting your family and property, please consider the safety tips above to reduce the chances of becoming a holiday fire casualty. For a printable brochure, please click here. For more safety tips visit www.nfpa.org/education or click here for an informational page.